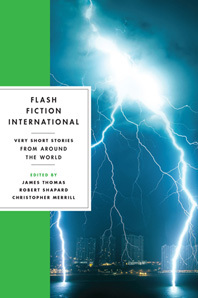 What is a flash fiction called in other countries? In Latin America it is a micro, in Denmark kortprosa, in Bulgaria mikro razkaz. These short shorts, usually no more than 750 words, range from linear narratives to the more unusual: stories based on mathematical forms, a paragraph-length novel, a scientific report on volcanic fireflies that proliferate in nightclubs. Flash has always—and everywhere—been a form of experiment, of possibility. A new entry in the lauded Flash and Sudden Fiction anthologies, this collection includes 86 of the most beautiful, provocative, and moving narratives by authors from six continents, including best-selling writer Etgar Keret, Zimbabwean writer Petina Gappah, Korean screenwriter Kim Young-ha, Nobel Prize winner Czeslaw Milosz, and Argentinian “Queen of the Microstory” Ana María Shua, among many others. These brilliantly chosen stories challenge readers to widen their vision and celebrate both the local and the universal. “It takes a big map of the world, a pushpin stuck in place for each short short story, to appreciate the dazzling scope of Flash Fiction International.” — Pamela Painter, author of Wouldn’t You Like to Know?